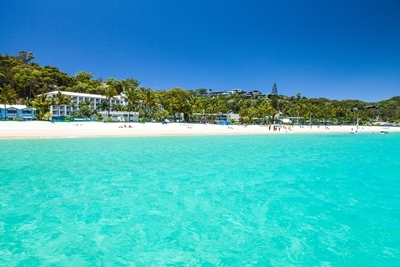 Global Travel Media » Blog Archive » Up to 30% off 1-night Island Escape to Tangalooma! 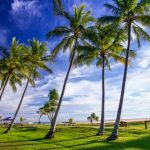 Up to 30% off 1-night Island Escape to Tangalooma! Tangalooma Island Resort – Explore one of Queensland’s holiday icons, Tangalooma on Moreton Island. Enjoy an endless summer with bucket-list encounters and experiences on Tangalooma Island Resort! Go whale watching, handfeed wild bottlenose dolphins, snorkel through 15 sunken ship wrecks which are home to over 200 species of tropical fish, or partake in over 50 island based tours and activities (including quad biking, 4WD tours, desert safari, sea scooters – and more). Only a 10 minute taxi transfer from the Brisbane domestic airport to the Tangalooma wharf and a 75 minute ferry ride to the resort. On sale now. Valid for travel up until 31 August, 2018. Book via https://www.tangalooma.com/deals. Subject to availability. Valid for 1 night stay only. Further conditions apply. Receive a bonus $200 resort credit and free return boat transfers when you book a 3-night escape at Tangalooma Island Resort. On sale now. Valid for travel up until 30 August, 2018. Book via https://www.tangalooma.com/deals. Subject to availability. Valid for 3 night stay only. Further conditions apply. Upgrade your stay to include Whale Watching & save 25% – Available for online bookings only. Booking must be made in the same transaction as accommodation.